When a new family starts to work with us, we review their data, goals and circumstances to determine what types of planning need to be done. As a CERTIFIED FINANCIAL PLANNER®, we can help you with all aspects of your financial life. There really isn’t a financial topic on which we cannot provide guidance. For product needs beyond our offerings (insurances, loans, mortgages, etc. ), we can connect you with trusted resources. Financial planning is an ever-evolving process that assists you in making your financial decisions; it is not a pretty 3-inch binder we hand you to put on your shelf. At different parts of your journey, different types of planning will be needed. We time our planning efforts for when they make sense based on your journey and circumstances. Our initial analysis includes an in-depth review of your present financial situation (cash flow, debt, reserves, etc. ), insurance needs, investments, retirement goals, and tax situation. Detailed planning for every client includes investment management, retirement planning and tax planning. Other specialty planning (education, estate, special purchase, etc.) 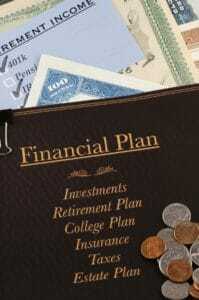 is done whenever it is needed as a standard part of our comprehensive financial planning services. What truly makes us unique in our financial planning approach is that your wealth management fee is simple to understand, simple to calculate, and covers all of our services. Further, when working with extended generations, the same fee schedule applies to those members, regardless of the amount they have available to invest. They are an integral part of the wealth management process and why we use the term, “family” vs. “client”.